Astute readers already will have noticed: in a manner of speaking, IntLawGrrls has had a makeover. With the reminder at the very bottom of this page -- "It's our world, after all" -- we began 9 months ago this weekend to add to the blogosphere new "voices on international law, p olicy, practice." They were, of course, the voices of women expert in international matters -- voices too often absent from public discourse. Each of us embraced a transnational foremother, thus introducing to our readers the stories of women whose contribution to our world often had been forgotten. We posted in our namesakes' names in the hope of inspiration and in the spirit of play. Today IntLawGrrls unmask. Proud to say who we are, our "voices" at right and our signatures below our posts now list us by name. Though our foremothers' names are gone from our posts, those women retain places of honor in each of our profiles. 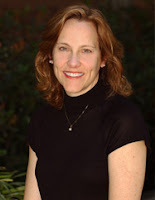 Diane Marie Amann (namesake, Grace O'Malley), Visiting Professor of Law, University of California, Berkeley, School of Law (Boalt Hall); Professor of Law, University of California, Da vis, School of Law (Martin Luther King, Jr. Hall). Elena Baylis (Amelia Earhart), Associate Professor of Law, University of Pittsburgh School of Law. Karen E. Bravo (Nanny of the Windward Maroons), Assistant Professor of Law, University of Indiana School of Law - Indianapolis. Johanna E. Bond (Mary Harris "Mother" Jones), Associate Professor of Law, University of Wyoming College of Law. Janie Chuang (Frances Perkins), Assistant Professor of Law, American University, Washington College of Law. Elizabeth Hillman (Vera Brittain), Visiting Professor of Law, University of California, Hastings College of the Law; Professor of Law, Rutgers-Camden School of Law. Naomi Norberg (Anna Koransky), Ph.D. candidate, Faculty of Law, Université de Paris 1 (Panthéon-Sorbonne). Diane Orentlicher (Beatrice), Professor of Law, American University, Washington College of Law. Hari M. Osofsky (Mata Hari), Assistant Professor of Law, University of Oregon School of Law. Jaya Ramji-Nogales (Lakshmi Bai), Assistant Professor of Law, Temple University, Beasley School of Law. 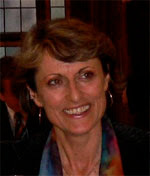 Hélène Ruiz Fabri (Olympe de Gouges), Professor of Public Law, Université de Paris I (Panthéon-Sorbonne). Naomi Roht-Arriaza (Gabriela Mistral), Professor of Law, Univ ersity of California, Hastings College of the Law. Beth Van Schaack (Eleanor Roosevelt), Assistant Professor of Law, Santa Clara University School of Law. We're happy to name Mary I. Coombs (namesake, Charming Betsy) as our 1st IntLawGrrls alumna. And we welcome a new arrival: Kristine A. Huskey, Clinical Professor of Law and Director of the National Security and Human Rights Clinic at the University of Texas School of Law, dubbed, of all things, "Gitmo's Girl" by Marie Claire magazine. More newcomers soon; stay tuned! Comparative Courts 101. Prof: Ginsburg, J. Who Counts in Making Custom? Democracy and the Rule of Law in Armenia? Go On! "IP and Traditional Knowledge"
Read On! "Why War Is Never a Good Idea"
Newsweek, women, power: Is this all there is? A bad week to be a woman . . .